The 2017 Annual General Meeting of the ERSL will be held on Saturday, November 25th, 2017 at the John G. Mlacak Community Centre. Please note that the entrance to John G Mlacak is at the Library/Arena end of the building. Check-in begins at 10:00am and the meeting will be called to order at 10:30am. 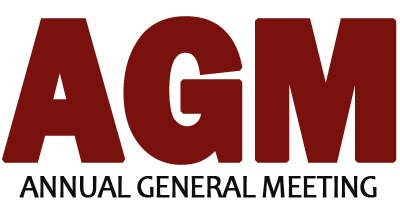 All Members must attend the Annual General Meeting. Failure of a Club to attend all or part of the AGM will result in a fine of $500.00. Any Member not in good standing must still attend the AGM but will not be permitted to vote. The ERSL supports Ontario Soccer's Code of Conduct for meetings.